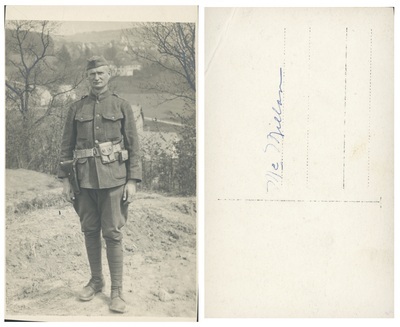 "Photograph of Henry L. Foss at Mielan"
Photograph of Henry L. Foss standing with his arms at his side. There are houses in the background. The back side appears to read: "Me Mielan".